The travel-sized lotions made from this kit fit perfectly in golf bags to keep hands moisturized and ready to hit a hole-in-one. 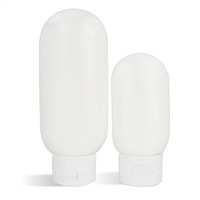 This father's day equip fathers with lotion for their golf bags! The green bullet packaging fits easily inside of golf bags, and the moisturizing lotion keeps hands smooth and helps moisturize calluses. 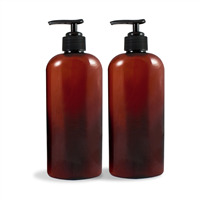 Men will love the manly scents of bergamot, juniper, and patchouli. You Save $18.80 by purchasing this kit rather than buying the items separately. COMMENTS: The ease of making this was remarkable! 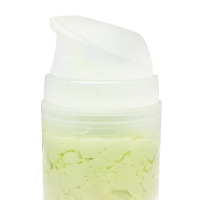 It feels silky on your hands without feeling greasy! COMMENTS: The kits offered on WSP are highly appreciated by both myself and my customers. Because I'm still a newbie in creating body products, the opportunity to try new things allows me to increase my knowledge and skills as well as my product line. This kit was easy to use with clear instructions and the end result was very positive. I sold out of the eight bottles of lotion it made in less than a week, with requests for more - and in larger quantities. 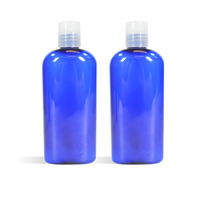 It is especially loved by my male customers because of the scent that came with it, but even more importantly the skin benefits from its ingredients; which - thanks to there being left-overs - I have incorporated into other projects. I've already begun purchasing each of them in larger quantities so I can keep this lotion in my line. COMMENTS: I love the end product but was disappointed that the kit made less than advertised. I had to scrape every ounce of lotion from the bowl to get 7 2 oz. bottles of product. Also, the name is rather limiting; I think something more along the lines of Men's Moisturizing Lotion would generate more sales. The product itself, however, is very nice. WSP Response: Thank you for your comments. You may have filled the bottles too full. Place your empty bottle on a scale and tare to zero. Add lotion until it reaches 2 oz. You will see it is not filled to the top. If filling in this manner, there should be enough lotion to fill all 8 bottles. 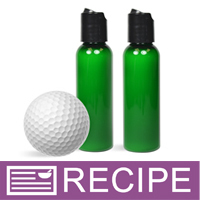 This is called a golfers lotion but you can certainly rename it as a men's moisturizing lotion and add to your product line. COMMENTS: Great kit. I bought this to make as Christmas gifts. I actually made 2 batches, one with the FO included and one with another FO I purchased separately. Both batches were wonderful. The people receiving the lotions raved about the quality. I will definitely recommend and be repurchasing.